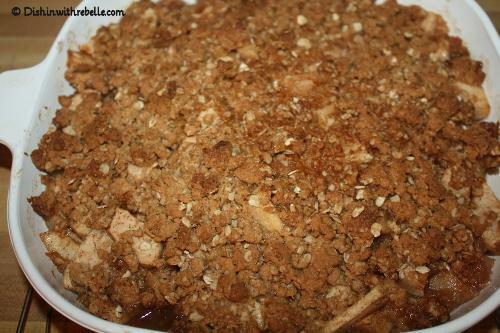 Description: If you love apple pie, here's an easy and quick alternative! Peel and core your apples. Then slice them. Go ahead and line the baking pan of your choice with the apples. Pour the teaspoon of vanilla in the cup of water, then pour that over the apples. Take handfuls of batter mixture and top the apples in the pan. Make sure to fill the corners of the pan. You will use most if not all of the mixture. Bake for 35-40 min or until crust is bubbly and golden brown. Let it slightly cool then enjoy with vanilla ice cream. Want yummy, delicious, sugar cookies from scratch? Well I've made this recipe multiple times and they're absolutely delicious and easy to make!